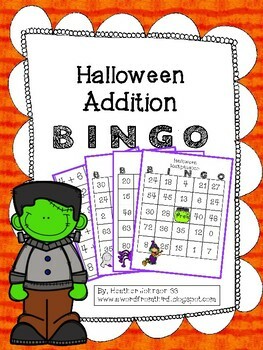 This is a Halloween BINGO game using addition facts! 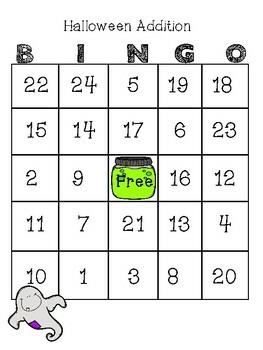 It is a great game to play as a whole class review, in small groups, during indoor recess, and even during math centers! 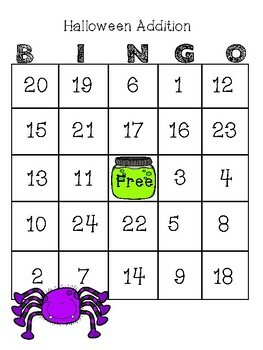 Each board has the answers to addition facts. The caller uses the included addition fact cards to call out the math facts. 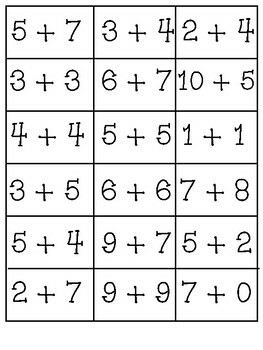 -1 set of addition fact "caller cards"
Can be printed on card stock and laminated for durability and future use or printed on regular paper.